This Exquisite Bay Front Home For Sale in Daphne Alabama is not something you want to miss! This Gorgeous Bay front home in Daphne has amazing water view and sunsets. 28457 Bay Cliff Lane sits on a large lot which is actually 3 lots combined located right on the Mobile Bay, which is full of wildlife, sea gulls, birds, squirrels, fish, crab, mature cypress tress with moss. This home has just such a peaceful and relaxing setting. One of the things that grabbed the seller was that he travels a lot so closeness to I-10 was one of the big factors for him, on top of the endless views. According the seller, schools were a factor in his decision to purchase this home and he said, “Yes, Daphne schools are rated better than any in the area.” We also talked about Bayside Academy being right around the corner which would be very convenient as well. 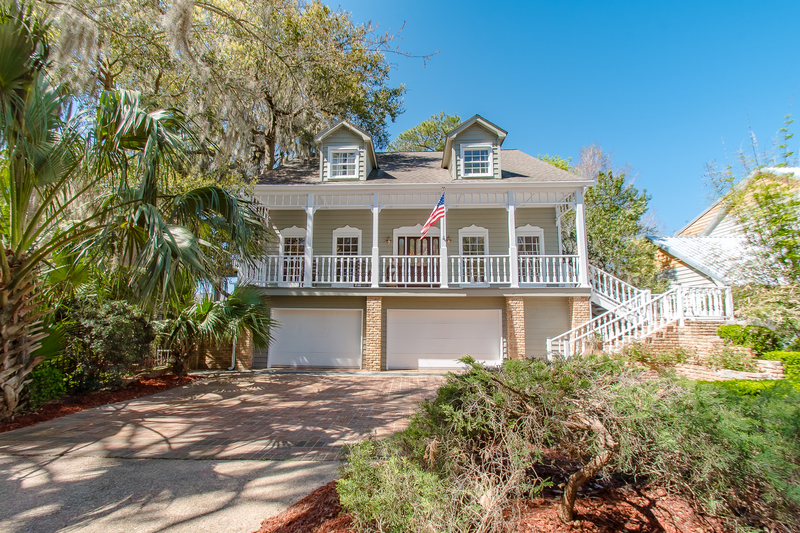 The seller said his top 5-10 favorite features in the home were “waterfront views of the Bay, daily sunsets, Mobile cityscape, entertaining on the large deck, and all that nature has to offer on Mobile Bay including the ability to fish right from the back dock or hop in the boat from the boathouse. The nearby Marina and clubhouse offer wonderful dinner specials and you can take the boat straight to several nearby restaurants.” Being a boater, he considered these things important. Most of the time when the seller isn’t working in his home office down stairs (which could also be converted to a apartment or in-law suite since it has a bath and water access to set up a small kitchen)… when he isn’t there you will find him on the back porch enjoying the bay and the sunsets while cooking out or just relaxing. If he isn’t there, then he would be in the living room with him family sitting in his comfy chair enjoying those amazing views. When I was talking to him about what was important to him he wanted to make sure that we got the sunset photos including the daytime because he describes it as a stunning view and everyday there is so much artwork in the sky. Over the years Scott has updated the appliances (stove, oven, microwave, vent hood, dishwasher); updated plumbing fixtures; updated lighting fixtures and fans; painted interior and exterior; updated floors; new pier, boathouse, docks, and decking. His favorite near by shops are Publix, Whole Foods, Walmart, Winn Dixie, etc which all make grocery shopping very convenient with a great range of available ingredients. Our local farmers offer fresh, healthy, and local CSA options and farmers markets. Also, because of the close proximity to the Gulf, fresh seafood is available year-round! Being a man, hobbies are a must of course… Fishing from the privately-owned pier is definitely top of the list along with taking the boat out from the boathouse or the nearby dry storage. Did you know that this home also has access to all the Lake Forest amenities?! These include: Tennis Courts, Horse Stables and Wooded Riding Paths, Yacht Club with amazing dinner specials, amazing sunsets, and amazing views of the city of Mobile across the Mobile Bay; Marina with Boat Slips, 18-Hole Nationally Rated Golf Course, Golf Club House and Grill, Three Outdoor Pools including an Olympic size pool, Community Swim Team, Disc Golf, and Dry boat storage! ​When selling your home there are always so many mixed emotions. 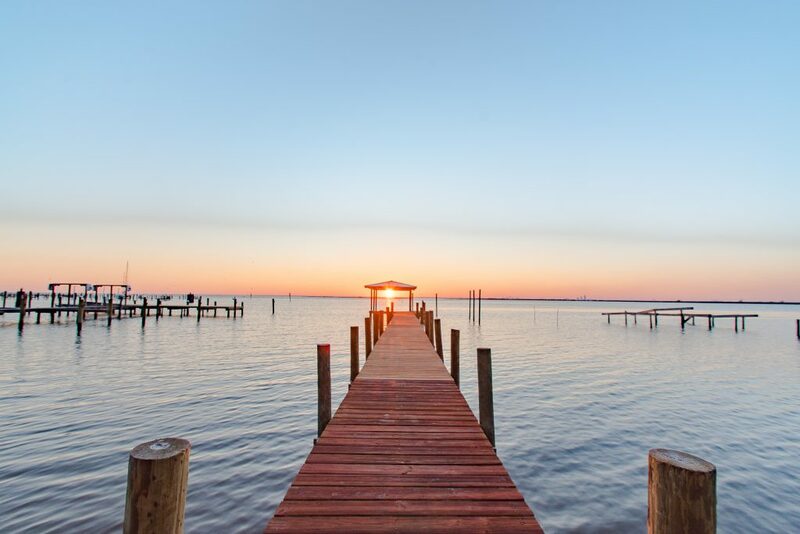 He is going to miss the large waterfront lot, the amazing views being directly on Mobile Bay, the wildlife, sea gulls, birds, squirrels, fish, crabs, etc., mature cypress trees with moss, and the location and proximity to Mobile, Pensacola, Gulf Shores, and New Orleans. The home is only 1 mile from I-10. Mobile is only 11 miles away and Pensacola and Gulf Shores are less than an hour away. Duty calls though and he is moving for his business to Pensacola and is ready for his next adventure and cannot wait to see which family get to call this amazing place home. Tour this Exquisite Bay Front Home For Sale in Daphne Alabama with the Jason Will Real Estate Team 251-866-6464!